I did take a long time to update my blog, during which, I visited Lebanon. Apart from the great Spring weather and incredible food we had during the visit, Aiisha Fashion line is selling in Beirut now. 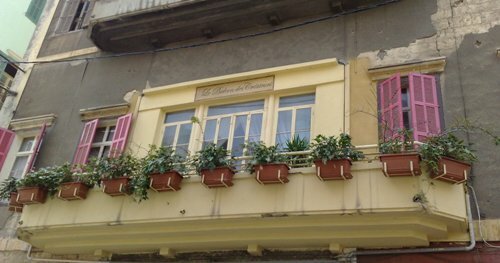 The prestigious Le Balcon des Créateurs, located in Gemayzé Street and at ABC Achrafieh (Lebanese Corner) is carrying a selective line by Aiisha. This is a big step for my label in reaching a more diverse, sophisticated crowd. 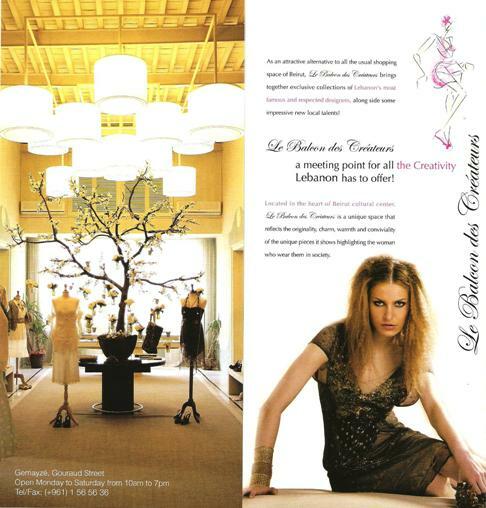 If you’re in Beirut, residing or visiting, give Le Balcon des Créateurs a visit, not only to see my collection, but to enjoy this unique shopping experience. And talking about experiences, Studio 8 had its opening on the 3rd of May in Jumeirah Beach Road, Dubai. Aiisha designs are now proudly part of Studio 8 Boutique. May 2009 – Dubai, UAE: Studio 8 is now open in Dubai. Bringing together some of the most respected names in design from Asia and the Middle East. Studio 8 is an emporium of style and sophistication. 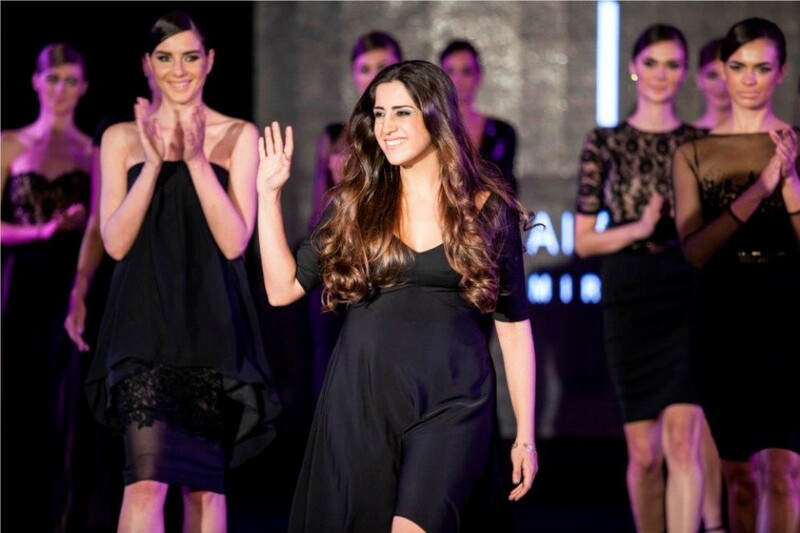 Manish Malhotra from India, Priya Kataaria Puri from Kuwait, Hatem Alakeel from Saudi Arabia, HSY from Pakistan, as well as Dubai-based Lebanese designers Souhad Acouri and Aiisha Ramadan are all showcasing their latest collections at the glamourous store on Jumeirah Beach Road. Next time you’re driving down Jumeirah Road, stop and visit Studio8 Boutique, just opposite Mercato entrance. This entry was posted in Aiisha, Beirut, Colors, Dubai, Fashion, Life, News, Stores, Travel and tagged Aiisha, Aiisha Ramadan, Beirut, Dubai, Stores, Travel by Aiisha. Bookmark the permalink.